The mouth of a dog is cleaner than humans. However, dogs can still develop lots of oral problems such as plaque and tartar buildup and gingivitis. 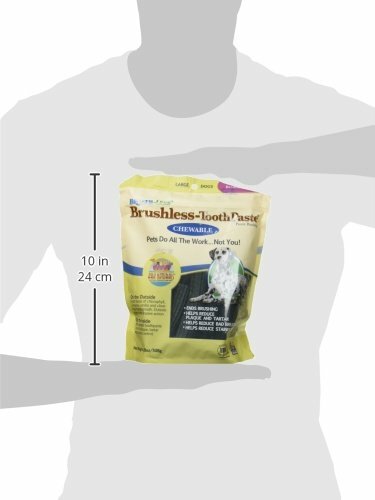 You need not worry about yellow teeth and bad breath of your canine friend. There are lots of other serious dental problems that can lead to life-threatening infections including liver, heart and kidney diseases. Finding the best toothpaste for dogs and good dental care are the ideal solutions for these problems. Every dog owner loves to be greeted by their furry friends. But, due to the stench of breath, most owners keep their dogs at arm’s length. Proper dental cleaning is essential for avoiding serious dental problems. Stinky canine breath can lead to the lingering of bacteria in the mouth of your dog. It will cause lots of pain and discomfort. If you left your dog’s mouth without cleaning, you are giving opportunities to tartar and plaque to foster. Wet, warm and undisturbed conditions make it a perfect breeding ground for harmful bacteria. All these problems can be avoided if you use the best toothpaste for your dogs. 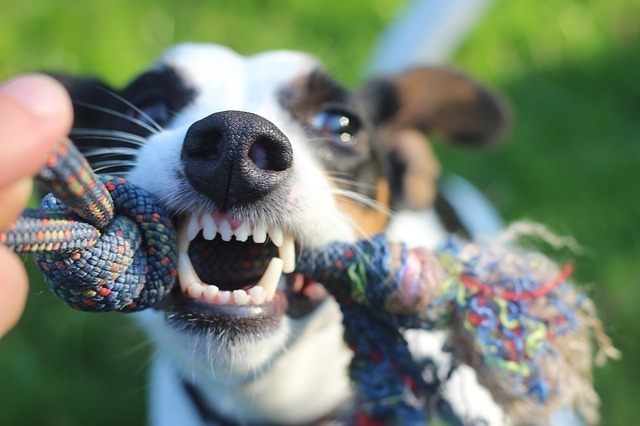 ​Complete lack of awareness of dog owners is the biggest issue relating to dog dental health. Many owners are not aware that products such as tartar control biscuits, toothpaste, and dental stick chews for dogs even available. They are not bothered about examining the mouth cavity of their dog fully when deterioration occurs due to bad breath. They simply consider that these problems are associated with aging and it is normal for all dogs. Though your dog eats pig ears, liver, and raw bones, his breath does not smell if give proper dental care. Brushing your dog’s teeth daily with dog toothpaste is the best way to improve your canine’s dental health. This is the best method to reduce the possibility of tartar and plaque buildup. However, before purchasing a toothpaste and brush in the vicinity, ensure to know what you are doing exactly. Here are some guidelines for picking the best toothpaste for your dog. ​ Human toothpaste contains fluoride, which is poisonous to your dog. So, never use your toothpaste to clean the teeth of your dog. Besides, the foam present in human toothpaste may not be pleasant for your dog. ​ Flavor also has a significant role while selecting toothpaste for your dog. Most animals do not like an over-bearing minty taste. If you select a toothpaste with a beef or bacon flavor, the breath of your dog smells undesirable. ​ Always pick a toothpaste that is made by using only safe ingredients. Ensure use a product that is made with artificial sweeteners and alcohol. In order to select the best toothpaste for your dog, you can buy a small tube initially. This is the best way to avoid spending too much for a wrong product. Allow your dog sniffs the toothpaste. In such a way, you can find the likes and dislikes of your pet very easily. ​If you are brushing the teeth of your dog at the first time, it can be uncomfortable for your pet. But, your pet will become used to it when you do it every day. Brushing the teeth of your dog is the best way to create a good relation with your pet. The toothpaste you select for your dog should be effective, safe, and vet-recommended. Below are the top best toothpaste for your dogs. The Sentry Petrodex Enzymatic is considered as one of the most effective dog toothpaste for preventing tartar. It also has a highly impressive whitening ability. The Sentry Petrodex Enzymatic is also available in most popular flavor that is poultry. Very simple philosophy is used for the manufacturing of this dog toothpaste. Poultry is one of the most preferred flavors of dogs. Dogs always love eating poultry. Thus, the company used the same formula while formulating toothpaste for dogs. Patented enzymes are used in this non-foaming formula, thus it does not require rinsing. It is highly effective for controlling plaque and fighting bad breath. The delicious poultry flavor is the most important feature of this toothpaste. The C.E.T. toothpaste is formulated to be effective, safe, and most appealing to your pet dog or cat. To inhibit the formation of plaque, the toothpaste contains C.E.T. dual enzyme system. The toothpaste is free from all types of foaming agents. So, you need not worry even if your pet swallows it. It comes in a wide variety of flavors such as poultry, malt, beef, seafood, etc. ​Thus, you can experiment with different flavors for finding the best toothpaste for your pet. Terrible smell is the nastiest thing that is associated with dog toothpaste. Though coming with different flavors, the Virbac C.E.T. Enzymatic toothpaste is free from nasty smell. This is the most important advantage of C.E.T. toothpaste. The Breath-Much less Brushless toothpaste is highly effective for preventing tartar, plaque, and microorganism buildup. It is highly useful for pets with occasional bouts of motion sickness, anxiety, unfamiliar surroundings, nervous behavior, etc. All natural herbal calming formula is used in this toothpaste. Thus, you can use this toothpaste even if your pet is nervous, anxious or stressed. It is ideal for pets up to 12 weeks of age or older. This clinically proven toothpaste is a highly digestible dental chew. Many dogs start showing the signs of dental problems by the age of 3 years. You can expect it if your pet’s teeth are fully ignored. Proper oral hygiene is highly important for keeping their teeth healthy. Above mentioned toothpaste are the best toothpaste for dogs, so you can use them for brushing the teeth of your furry friend regularly. ​Be Cautious! Select The Best Dental Chews For Dogs! !